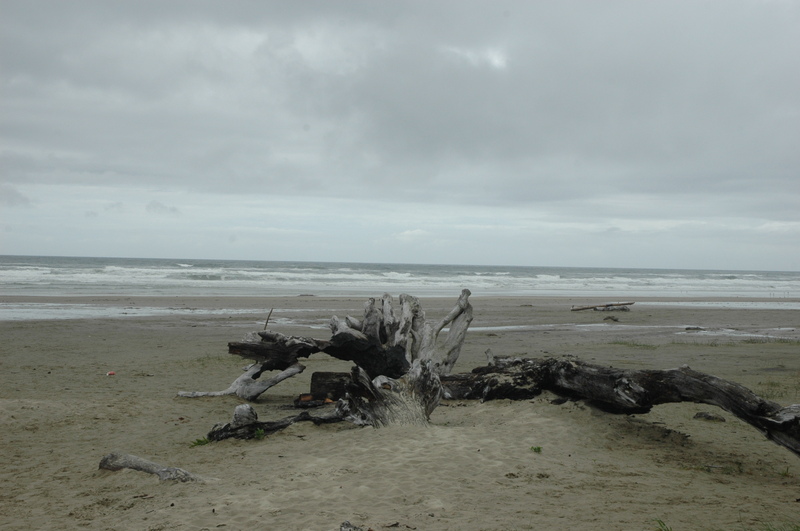 We were in Oregon several years ago and came across this driftwood on the beach. It was beautiful, yet there is something oddly sad in seeing this chunk of a formerly alive tree lying, abandoned and quite dead on the beach. Driftwood can be defined as wood that has been washed onto a shore or beach of a sea, lake or river by the action of winds, tides or waves. In other words, it is unwanted debris on the beach. In the same way, God can use even those of us who have been washed up and perhaps abandoned on the beach of life, apparently useless to those who pass by. Perhaps we have lost our job and feel useless in taking care of the family. Or, perhaps a spouse has found another and has declared you to be “washed up” and you feel, and perhaps even become, abandoned. There is no seeming end to the abuse that people inflict on others! Praise the Lord that He has a purpose for each of us. Romans 8:28 says that all things work together for good to those who love him and who are called according to His purpose. In short, the world may see one thing but God sees quite another – an apparently washed up individual is, in God’s eyes, a beloved creation who can minister and function uniquely for His purpose. When His plans are not readily apparent, we need to rest in His unfailing grace and allow our driftwood life to become a beautiful work of art through His loving touch. It might take some time, but it will be worth it, and He will be with you through the whole transformation! The “drift” in driftwood implies that the object has floated rudderlessly to it’s resting place. We often find ourselves feeling like this; I have no direction, no hope. I don’t know where I will end up up and don’t really care. ” God cares, and what seems to us like a directionless drift is the gentle flow of the currents of His Will, lovingly bringing you to the place where He will use and bless you.